The PS Challenge is Underway! My apologies for the long break between posts. 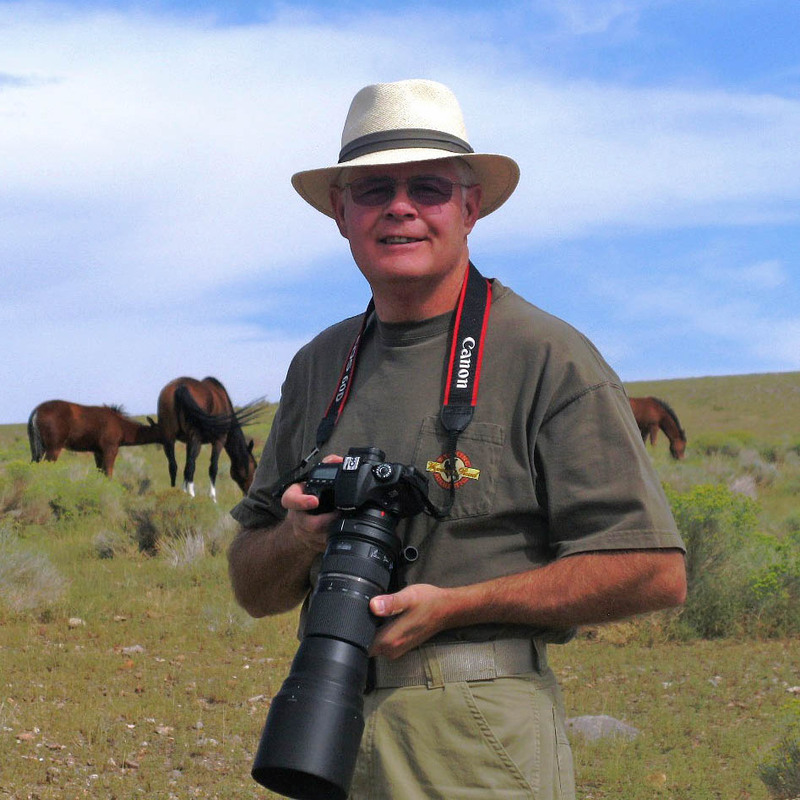 I’ve been busy shooting, but I took a little break when my friend and photo buddy, Richard Hawkins, lost his battle with cancer. Many of you are familiar with one of Rich’s best pictures. Richard and I were out with the wild horses a couple years ago. I had just made a few images and turned around when he grabbed this shot of me. Shooting with him was always fun – he had a great eye for images and helped me look at things a little differently. 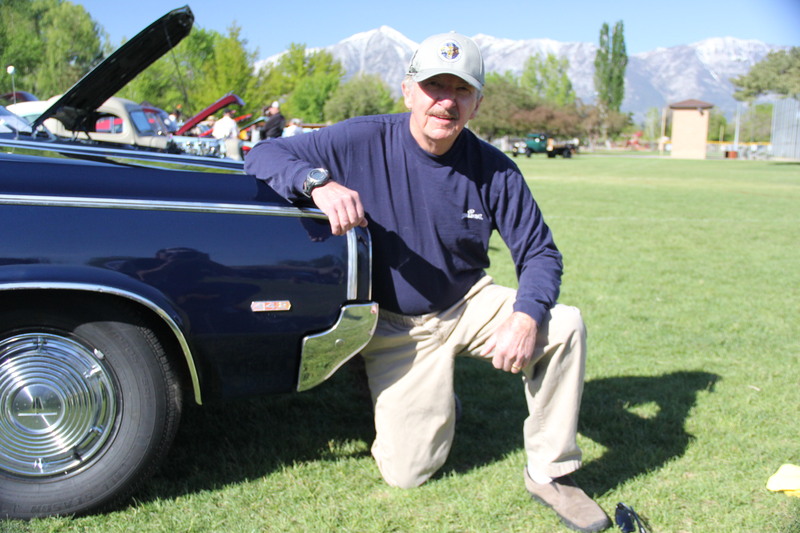 Rich bought a 1964 Olds 442 just before he received his cancer diagnosis. He dated his wife in a car just like it many years ago. At his first car show, he won the ‘under construction’ category. He also asked me to take his picture in the same pose he was in when he had his original 442. I was very happy to do so. God Bless You, Rich – my cameras and I miss you. On to the images from this month. I picked up a point and shoot camera, a Canon PowerShot G9 X Mark II, to enhance my camera bag. I’m learning the capabilities and limitations of this tiny little camera (it’s only 3.75″ wide, 2.5″ tall, and a narrow 1.25″ thick), but it makes marvelous images. I’m getting very nice landscape images, as you can see, and there’s potential for close up and macro photography, once I learn the camera a lot better. The PS challenge can be either ‘point n shoot’ or PowerShot, depending on my feeling that day. 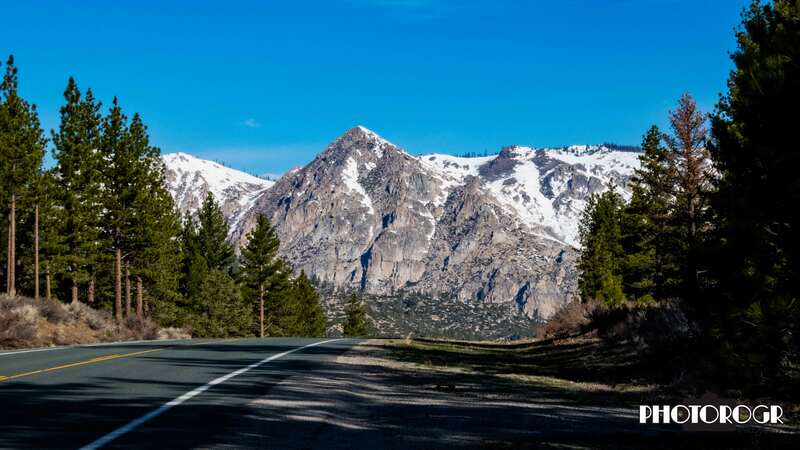 I made this image just south of Woodfords CA. That’s CA 89 on the left. I made this image with the PowerShot. 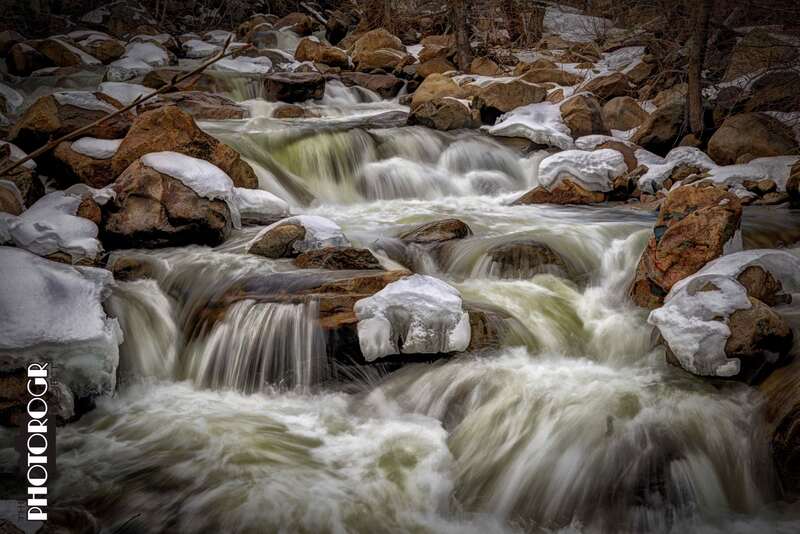 I’ve driven by this section of the East Fork of the Carson River several times, and finally stopped to make the image. Great sky and great light! The beauty of the PowerShot is the ability to stop and jump out for the quick shot. 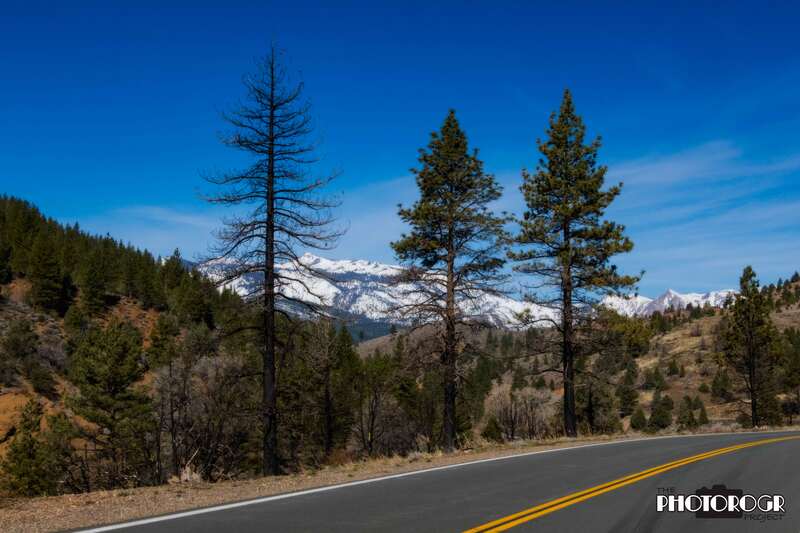 This image was made from the side of CA 89 (the Carson River is just behind and downhill from these trees) in an area where a wildfire burned a couple years ago. The tree on the left was completely burned but the other two were only burned on the bottom half. I hope they survive. The last PowerShot image for this post – the West Fork of the Carson River in the middle of the Carson Valley. 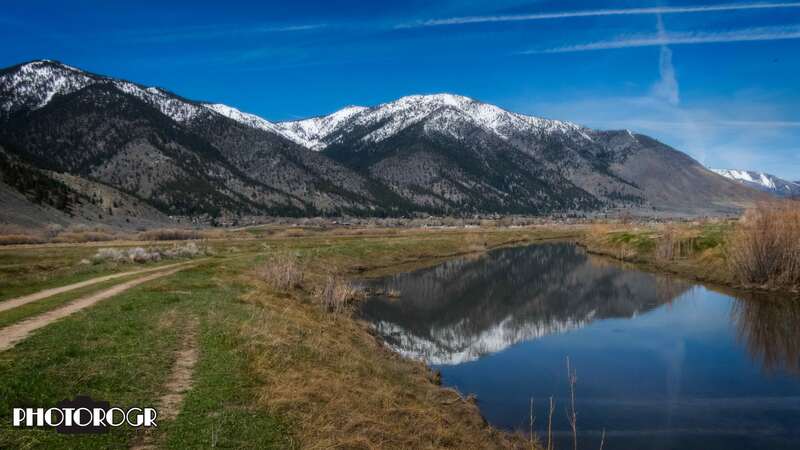 The Town of Genoa is visible at the base of the mountains, and Duane Bliss Peak is reflected in the river. As much as I love my PowerShot, it will never replace the big camera for many things. The PowerShot will bracket exposures and focal length, but the big camera does it much better. 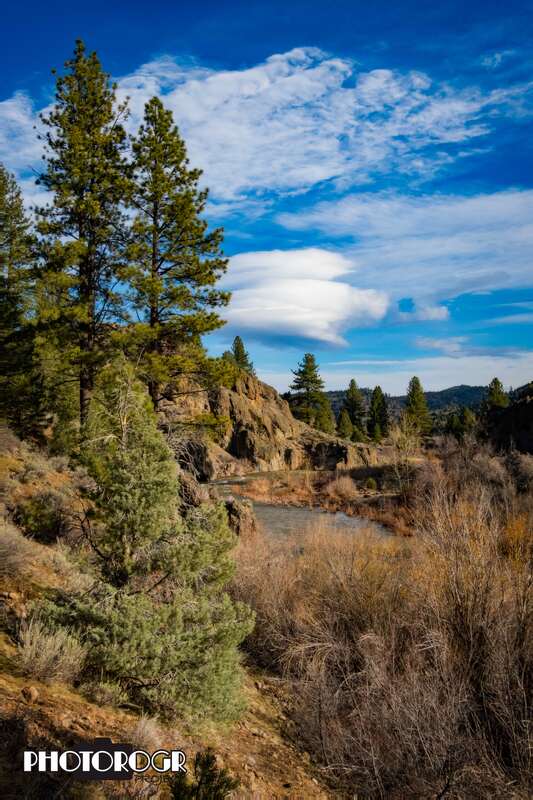 This is an HDR combined from an exposure bracket of the West Fork of the Carson River, in the mountains. There’s lots of ice in the stream still, as this section of the river gets very little direct sunlight in the winter months. 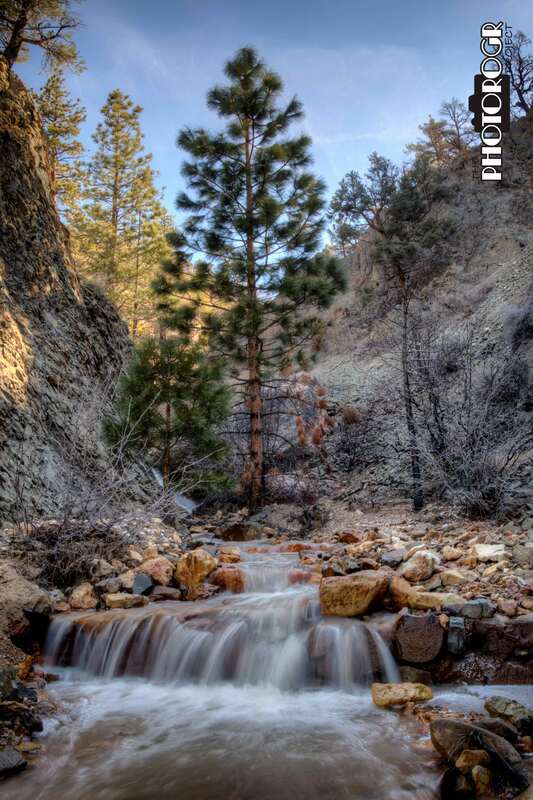 Another HDR of a usually dry wash feeding the East Fork of the Carson River. 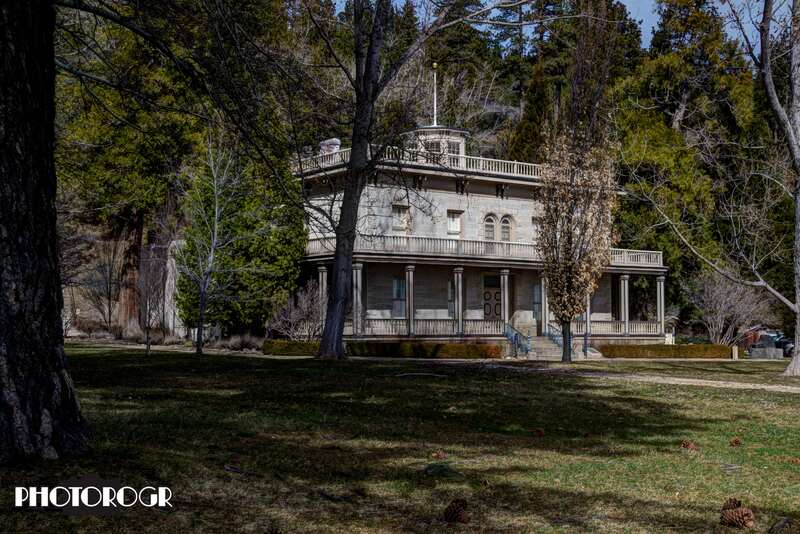 This is the Bower’s Mansion, an historic structure on the west side of Washoe Lake, just south of Reno. The Eagles are long gone, except for the nesting pairs, and the other Raptors are slowly leaving the area as spring approaches. Smaller birds are returning, so we have subjects to shoot and new challenges in shooting. Small birds are more likely to move as you approach, so a long lens and quick reaction to spotting them is critical. 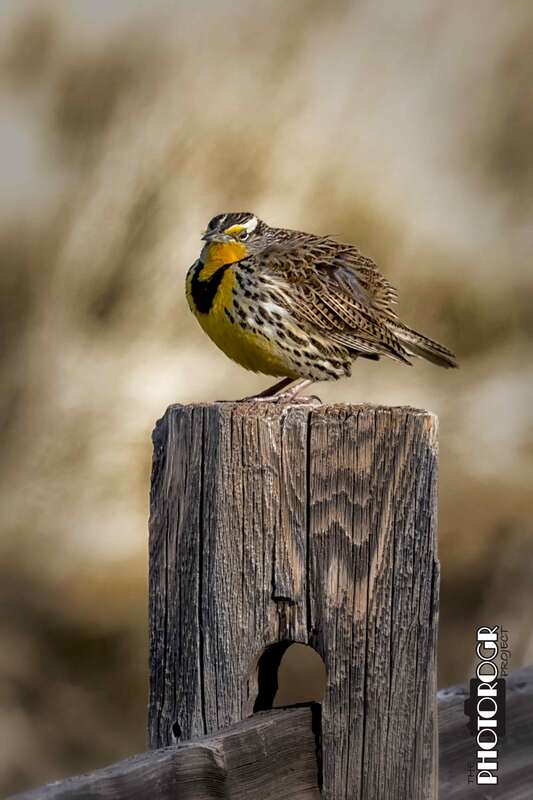 I found this Western Meadowlark on a fence post in the wildlife viewing area on the south end of Washoe Lake. Chilly morning, so it was trying to fluff up and stay warm. 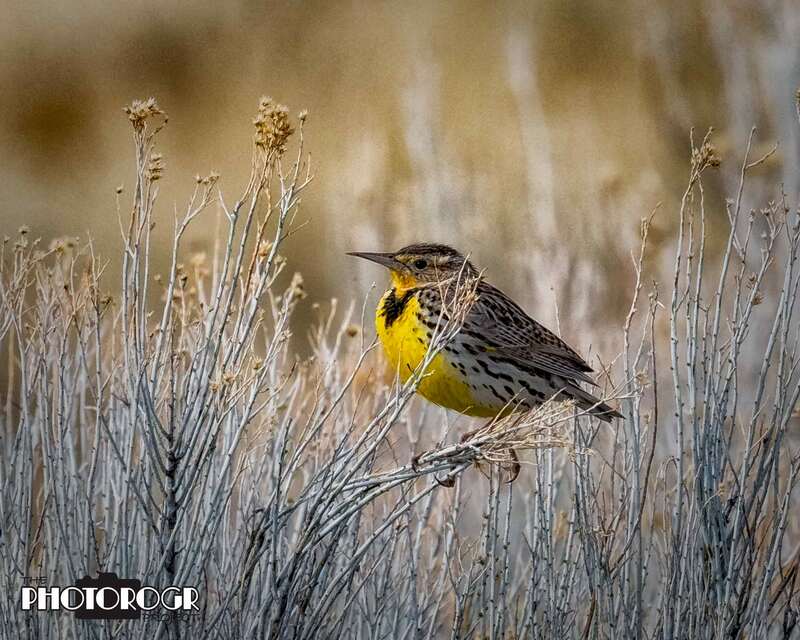 This Western Meadowlark landed on a branch near me, and posed nicely. 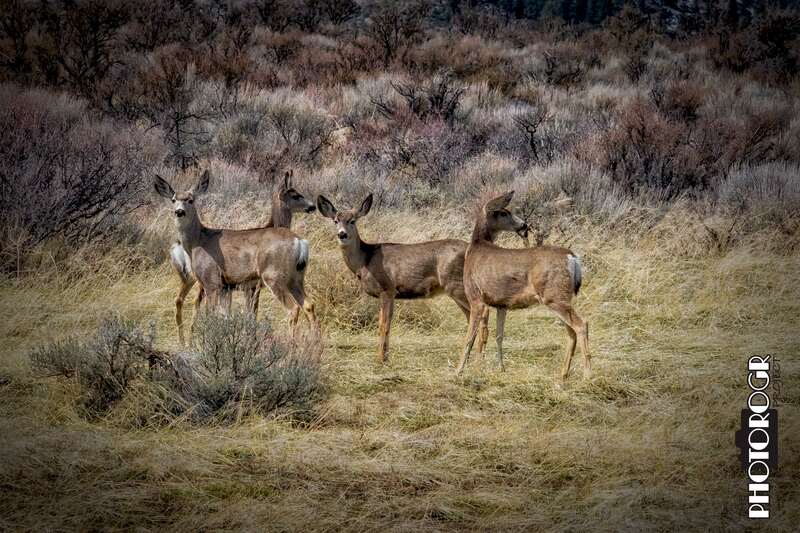 These Black Tail Deer are part of the Town of Genoa herds, although these 4 can be found a couple miles north of town on Foothill Road. I’m not sure they were more worried about me or something to the right, but they held still long enough for me to make this image. 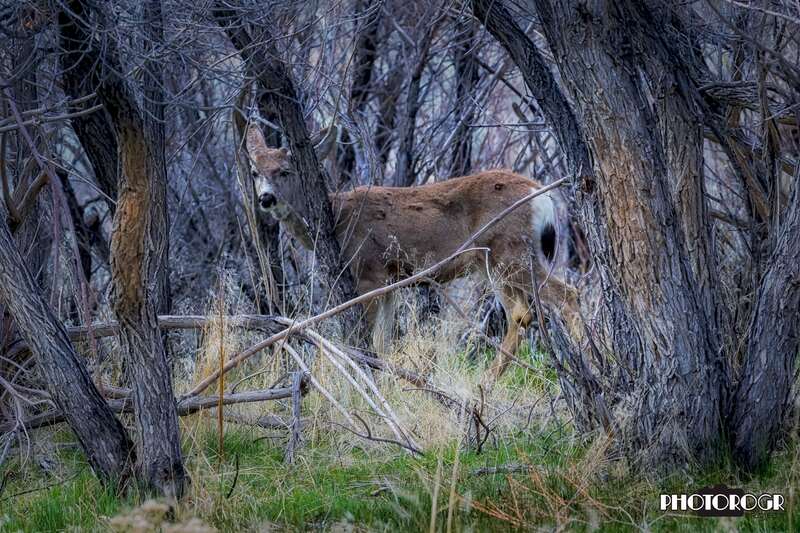 I had the opportunity to try a new technique I saw in Outdoor Photographer magazine – the wildlife panorama. I usually try to get my wildlife images as close and detailed as possible, but I love the concept of combining wildlife and landscape photography. Watch for more images like this. I found these 4 another day, but they moved into a grove of trees as I approached. New challenge to get a good shot through the trees. This one moved in and stopped, not exposing more head for me. Changing my position wouldn’t have helped, as other trees blocked the view. 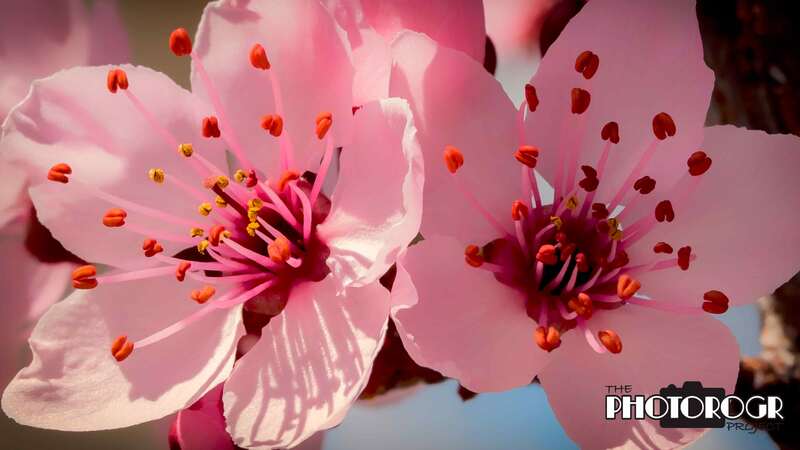 Spring is here – evidenced by the blossoms on some of our fruit trees. These are from the Flowering Plum in the corner of the backyard. First close up of the year – almost a macro. Each blossom is only 3/4″ in diameter. As more flowers bloom, I’ll shoot more macros. 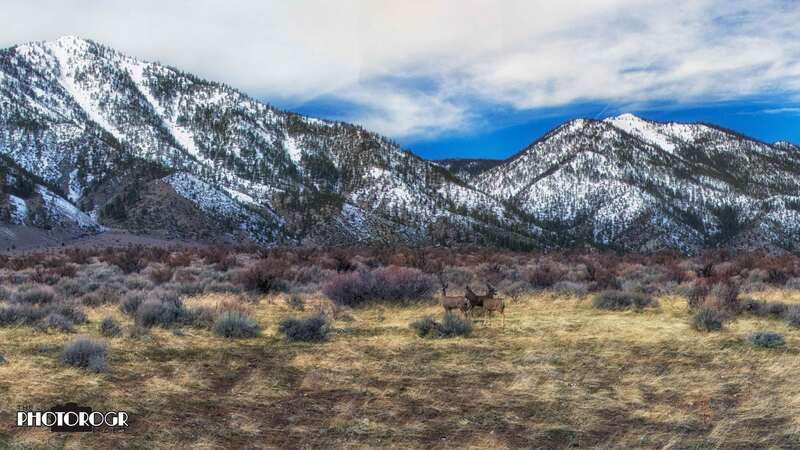 Hopefully, the wet winter will cause the desert to bloom, and not delay too much the mountain meadows blooming. Welcome Spring and the changes it brings. Thanks for reading this blog! My condolences for the loss of your friend! My phone doesn’t have your regular email. But I wanted to share my “office” view today without letting people know I’m out of town on FB. I’ll post more once I’m home. Stunning images, as they always are and a wonderful tribute to your friend.